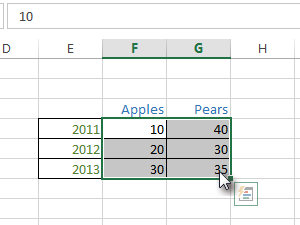 Excel 2013 provides a useful innovation called Quick analysis, which gives you instant overview of your data in spreadsheet. Create or open any analysis. 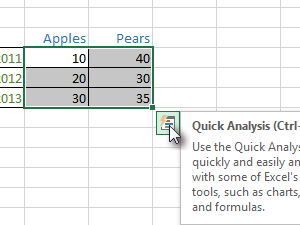 ...and click Quick Analysis icon. 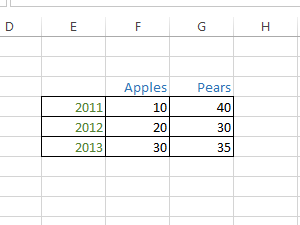 Quick analysis will offer you several options. 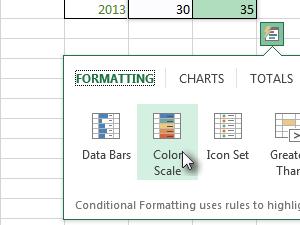 I have chosen Color Scale. 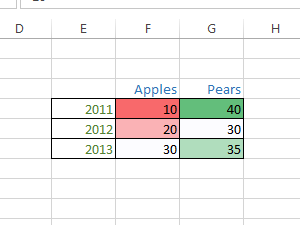 Data in spreadsheet will get colors. 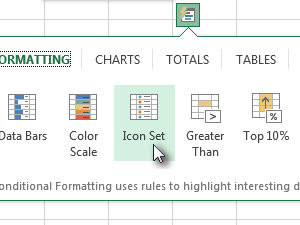 Click again Quick analysis icon and choose some other option. 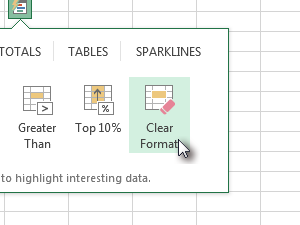 On the end you can clear form of analysis by clicking Clear Format. Experiment a little with all other options, to get the form you like.